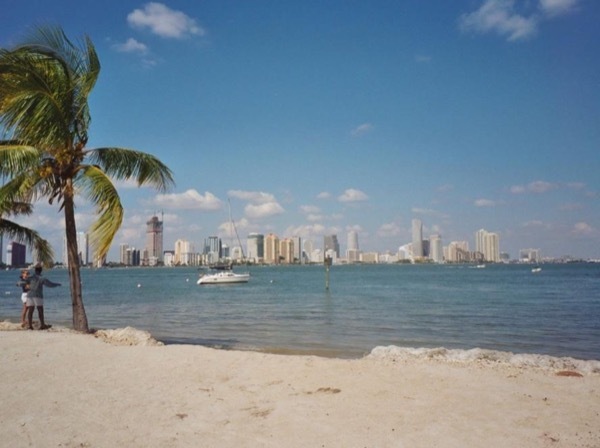 Traveler Reviews for Private Tour in Miami Beach, Florida, United States by Tour Guide Jaime B.
Miami City tour by Day or Night! About Jaime B. Message Jaime B. If you're looking for an amazing tour of Miami, then I highly recommend Jaime. I recently visited Miami with my business partner. Jaime picked us up from our hotel in the morning and drove us to different areas as he told us about the rich history of Miami as well as many personal and entertaining stories. Jaime is so warm and friendly and an all around great guy! TOUR GUIDE RESPONSE: The pleasure was all my! Jaime has a historical knowledge of the city of Miami. He is very accommodating, friendly and has a pleasant personality. He was our tour guide and driver. He drove us safely while also giving us a solid tour of the place. He took us to a delicious restaurant for breakfast with a very reasonable price. I highly recommend Jaime to anyone. Thanks Jaime for a fun and memorable experience in Miami, especially Little Havana. Jaime was a great guide. On time, very accommodating, safe driver and just down right nice person. We would definitely recommend his services. Thanks for a great ending to a wonderful trip to Cuba. Jaime was wonderful! Picked us up at our ship on time in a clean comfortable car with plenty of room. Very knowledgeable and not only showed us Miami but gave us insites into the people and the culture. He let us stop when we wanted to walk a bit and was there in minutes to pick us up again. When we were through he took us to the airport - a great ending to our cruise vacation. Thank you Jaime! TOUR GUIDE RESPONSE: The pleacer was all mine!! !Thank you!!! TOUR GUIDE RESPONSE: Thank you so much!Nancy Kilday.! !the pleaser was all mine!!!! Thank you so much!! !